Meet the 2017 Chilean Pavilion. There was all sorts of magic happening at the Russian Pavilion! 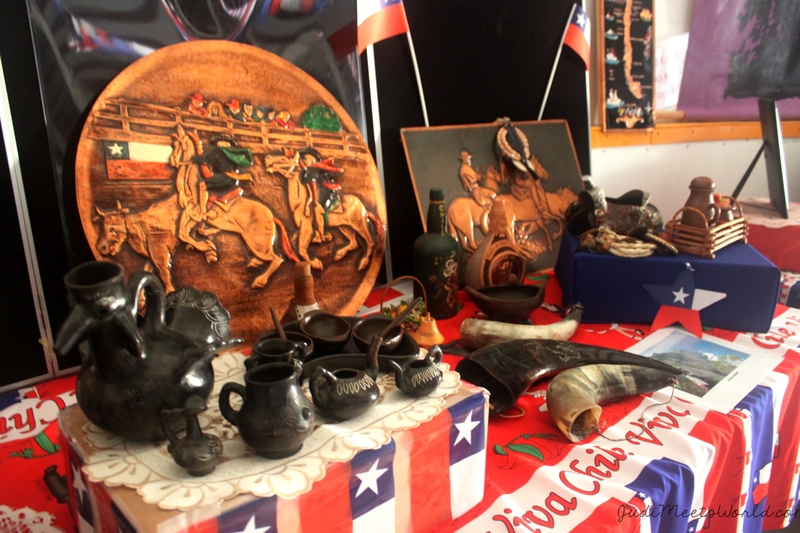 There are tables and dividers laid out with volunteers nearby to answer any questions you have as you learn about the Chilean facts, traditions, dances, arts, and culture that are prepared for you. I noticed the amount of decorations and instruments that are made out of natural sources such as wood or animal horns, etc. 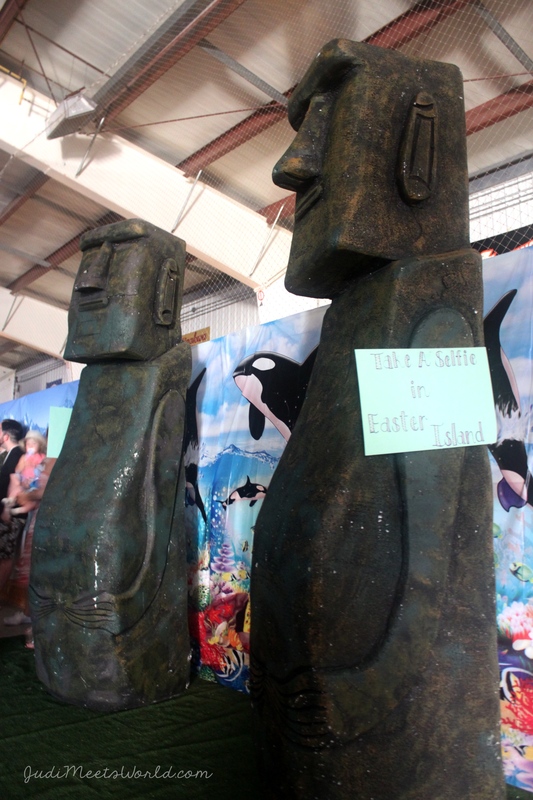 Don’t forget to take a selfie at Easter Island by the giant head statues that they set up! Empanadas for days over here! You can’t go wrong with this item. Dance the night away with a borgoña (cold red wine with strawberries). Another favourite item is the Pisco Sour. They covered various regions of Chile in the featured performances. A crowd favourite was the piece of the youth group, dancing in their white feathery costumes, representing the Isla de Pascua (Easter Island). There were dances that featured the “cowboys” of the Chilean culture. The dancers come out and greet their guests afterward. They were all very welcoming and ready to take photos and answer any questions about their costumes and dances. Congratulations to the Chilean Pavilion for another successful run at Folklorama! Meet the 2017 Belgian Pavilion.